I was expecting to need to drink the pain away tonight....Somehow the Esks salvaged a day where they lost a franchise QB. west was 28-12 against the east last year. Its going to be even more lopsided this year. Yeah - I'm thinking 4th place in the West is the spot to finish this year for the crossover and an easier road to the GC. We'll see how it plays out but I really wish the East was better for the health of the league. It was a 4 year, $18.2 million US deal. First year paid over $6 million. Again, that was 1991 (!). I'm pretty sure Ismail was the highest paid player in pro football when he signed that contract. There were a few CFL millionaire contracts back in the free spending 90s, the downside was that they almost killed the league. I believe that those huge salaries back then (which were legit) were personal services contracts paid directly by the owner (Ismail in T.O., McNall) (Flutie in Calgary, Ryckman). I'm not sure if each team was allowed one marquee player at the time or if the league was thinking of implementing that or if I am confusing that with something else. I'm sure someone can google the correct answer. Holy cow, I just looked it up to see what happened to Larry Ryckman, he's only 59 years old. I wouldn't be so quick to write off the east as many are saying. Cats should be ok, Als were not as bad as people made out, they had some good talent and if Johnny Football can stay the course I think you'll see some change there. He showed at times that he is really suited to this game unlike a lot of other second and third string QBs you see. I'm also willing to give Desjardins in Ottawa some credit for succession planning. He's done a pretty good job in Ottawa and I don't think he would have not planned for not having Harris someday. As for the Argos, one can always hope. I am old enough to remember what was probably the first CFL spending binge era, which occurred during the first half of the 1980s. It was a bit of a golden, optimistic age for the CFL. Montreal had a new stadium and was pulling in large crowds (think 50,000-60,000), the Argos were consistently in the 40,000-50,000 range, as was Edmonton (with Warren Moon at the helm). Vancouver was building BC Place where the Lions would move in, and so just under half of the league was playing in what were close to NFL-sized stadiums (back in the day). I distinctly recall how the CFL wasn't really seen by that many people as a joke "second fiddle" to the NFL. Obviously, people weren't stupid - we had NFL games on TV and knew it was a big(ger) deal. But the disparity in calibre between the two wasn't constantly brought up as it is today (often exaggeratedly so) and there was a sense that the CFL was a totally respectable product, worthy of interest. I guess certain team owners thought there was nowhere to go but up, and that the popularity of their game was unassailable. The biggest culprits were the Montreal Alouettes who, emboldened by amazing attendance, signed some pretty big name stars either from the NFL or straight out of college. They gave them big-time money too. Often more than they would have made in the NFL. People like Vince Ferragamo, Tom Cousineau, Billy White Shoes Johnson, David Overstreet. But just as soon as they built their dream team, everything went bust. They had some horrible seasons and attendance at the Big O plummeted as fast as it had risen. There were also big contracts given by other teams too. I remember Calgary giving Joe Barnes what I believe was the first million dollar contract in CFL history. Heady days. And then (most) everything fell apart. Good post, good ol' David "Turn"Overstreet. I think I'm going blind, I was going to say you forgot Vince Ferragamo and Tom Cousineau or did you edit one in later? I remember the 1980's CFL quite well as the Bombers won 3 Grey Cups between 1984 and 1990. 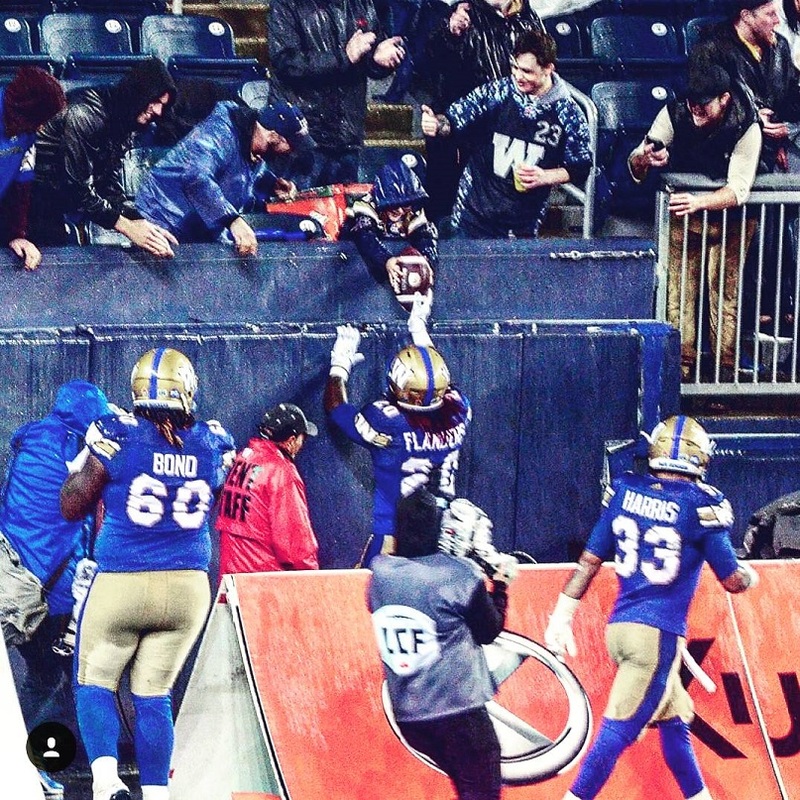 Those were fun times to be a Bomber fan! Despite not winning the Cup since then I remain a diehard supporter. Yeah, your memory goes back a bit farther than mine but it does seem that the league pumped the brakes a little in the late 80s after the Als collapsed. But in the early 90s it revved up again. McNall got it going in earnest, and then the expansion era resulted in more competition for players. That was really the last time that some players made similar money in the CFL compared to the NFL... you had guys like Billy Joe Tolliver who made more or less the same amount of money QBing the Shreveport Pirates as he did the season before with the Atlanta Falcons. You wouldn't see that anymore these days. As for Montreal, I can understand why the success of the late 70s went to their heads. They had what at the time was probably among the best and biggest stadiums anywhere in the world, and they were playing to packed houses. Competing with the NFL for talent was not unreasonable. What's amazing is how quickly it fell apart... in 1978 it was full houses, and barely 5 years later the place wasn't even half full anymore. I'm also willing to give Desjardins in Ottawa some credit for succession planning. He's done a pretty good job in Ottawa and I don't think he would have not planned for not having Harris someday. It's poop or get off the pot time for Jon Jennings who looks like he'll assume the mantle in Ottawa. I think he'll do well under Campbell and away from that ahole Hervey. Hmm... some strangely connected references there. Despite not winning the Cup since then I remain a diehard supporter. That's what real fans do. So Hamilton seems to be in reasonable shape, while Toronto and Montreal are shaping up to be three alarm fires. Where does Ottawa stand? Will Jennings make up for the loss of Trevor Harris? Not out of the question IMO. More importantly, where will Kevin Glenn play this year? Personally, I'm optimistic for Montreal but if Manziel washes out, it'll could be another frustrating year. They have three pretty good but untested QBs so potential is there. In the 80s, I (from the east, the real east) went to college with a guy from Winnipeg. He'd call home long distance all the time to talk about the Bombers. Yes, I had forgotten Cousineau and added his name later. Even by 1981, the Alouettes had dropped into the 20Ks in attendance. They folded at the end of the season, and were reborn as the Concordes, and attendance fell well below 20,000 per game. Remarkable when you consider what their crowds were just a few years before. Go back further, in the 70’s Montreal had the Ordinary Superstar Johnny Rogers, Toronto had Joe Theisman and Leon X-Ray McKay, the big CFL cities could compete money wise with the NFL teams before American TV money made salaries insane. The 90’s were a financial house of cards, Flutie has stated publicly he never got paid by Rickman for his last season in Calgary. 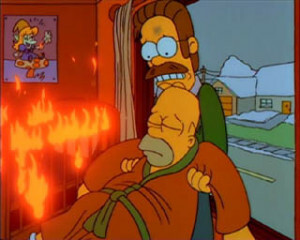 How can you not expect a guy named Flanders not to do the right thing? Sorry for the repost but it just fits. [QUOTE=Acajack;8472904]I am old enough to remember what was probably the first CFL spending binge era, which occurred during the first half of the 1980s. 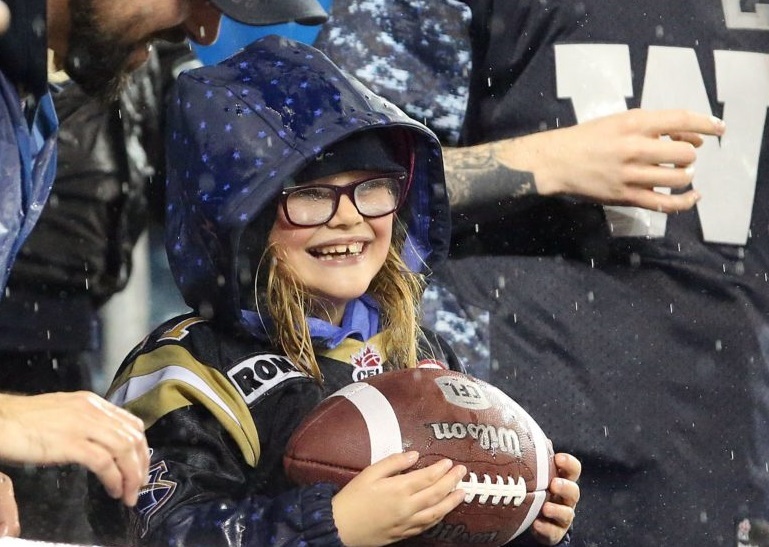 The biggest culprits were the Montreal Alouettes who, emboldened by amazing attendance, signed some pretty big name stars either from the NFL or straight out of college. [They gave them big-time money too. Often more than they would have made in the NFL. People like Vince Ferragamo, Tom Cousineau, Billy White Shoes Johnson, David Overstreet[/B]. But just as soon as they built their dream team, everything went bust. They had some horrible seasons and attendance at the Big O plummeted as fast as it had risen.